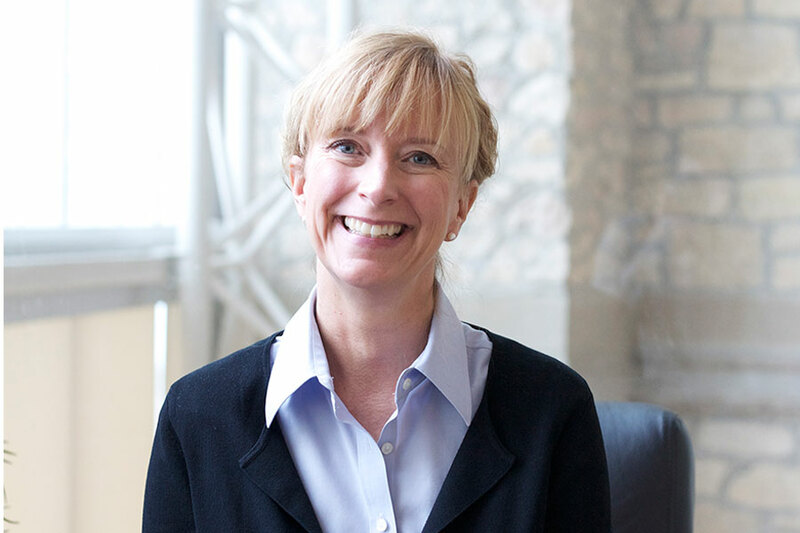 Patti McDougall, vice-provost of teaching and learning. With University Council’s January endorsement to include Indigenous knowledge and experiences in all degree programs, the real work is set to begin. "What we have now is support for a plan," said Patti McDougall, vice-provost of teaching and learning. "There is agreement with the general direction and intent but approved actions are yet to come." McDougall acknowledged that there is a sense on campus that "there is a great opportunity to do this and the timing is right. At a recent student forum meeting, comprised of undergrad and grad students, reflecting a good subsection of our student body, there was a lot of support for moving in this direction." While the support of Council and students brings momentum to the issue, McDougall stressed the "need to balance doing this quickly with doing this right." For the U of S, McDougall continued, doing it right does not mean "every single student taking one single, common course; that's not our model." The first step to discovering the appropriate path for the U of S, McDougall said, is "opening up the university's Learning Charter and rewriting parts of the charter to reflect learning outcomes connected to Indigenous content and learning experiences grounded in Indigenous world views." Stemming from there will be engagement with colleges, schools and departments—both at the undergrad and graduate levels—to find which approach fits best. "Engagement will be imperative to getting to the next stage," the vice-provost said. "We need to get widespread endorsement on the learning outcomes and we need to go to the colleges to get that." To ensure all faculty have input into this academic matter, the Teaching, Learning and Academic Resources Committee of Council (TLARC) will be heavily involved, said Jay Wilson, TLARC chair and head of the Department of Curriculum Studies in the College of Education. "We have such broad representation on TLARC that we can connect to colleges through our members," said Wilson. "But another key component we need on the committee is Aboriginal perspective." Wilson said everyone involved in the process has the phrase "nothing about us without us" top of mind. "It is really crucial we engage First Nation, Métis and Inuit faculty and students," said Wilson. "If we can help people understand the (learning) process is as important as the content, if we can address this as reconciliation, we can avoid this being seen as tokenism." To that end, McDougall said it is necessary to find an appropriate fit for meaningful Indigenous content and then match that with the capacity to teach Indigenous content. "I believe there is an important difference between who can and should teach Indigenous content. When you listen to some of our Indigenous colleagues you understand that in certain areas there is highly specialized knowledge and not everyone should be teaching such content," she said. Following consultation and revisions to the Learning Charter, which need to be approved through University Council, McDougall said the next steps are to take stock of what is already happening on campus and then to mobilize support to help colleges as best as possible. "Lots is already happening on campus and we need to take stock of all of that and figure out the best strategies and approaches," McDougall said, adding as examples that the Colleges of Arts and Science, Education and Law, and a number of health science disciplines already have very strong Indigenous content and programming or are moving actively in that direction. Echoing McDougall, Wilson said the university has "pockets of success and models that work but each program will be different and will require different supports to fully integrate Indigenous content." Graduate studies is one area that McDougall and Wilson both see as a challenge. "This is a legitimate challenge and at this point I can't say how we will work through this," said McDougall. "It's not that grad students won't benefit from this, but it is more challenging to find a place for this as degrees become more specialized." The initiative presents many challenges to be sure, but that will not deter McDougall and her team. "Of course we need to do this. We want to educate our students about historical and contemporary issues and we need to ensure they are culturally aware and sensitive. We want to reduce prejudice and build relationships. And to do that, we have to have a shared understanding and awareness," she said. "We aspire to create a model that can be used elsewhere, but our model needs to be able to change and grow," Wilson added. "This is a big move and presents big challenges," explained McDougall. "But no matter how you look at it, it is the right thing for the University of Saskatchewan."